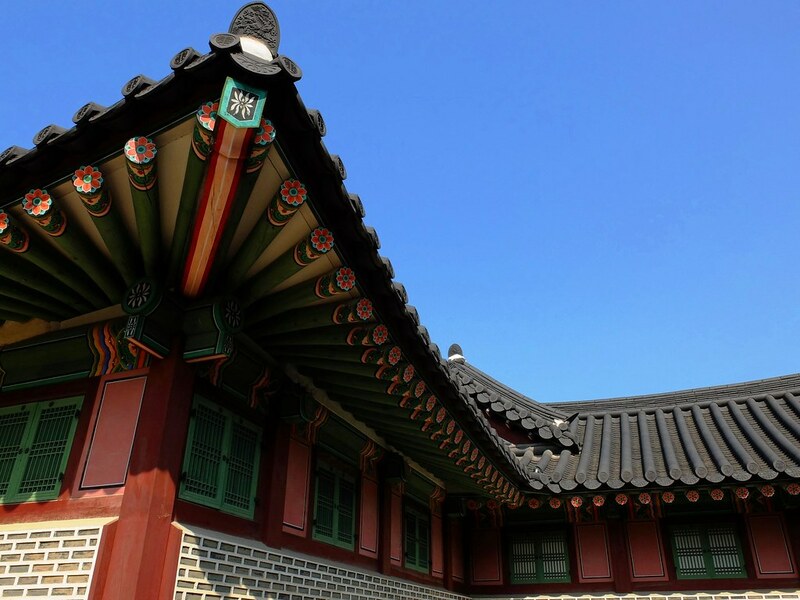 The well-preserved UNESCO World Heritage palace of Changdeokgung, was the first of the “Five Grand Palaces” that I visited in Seoul. 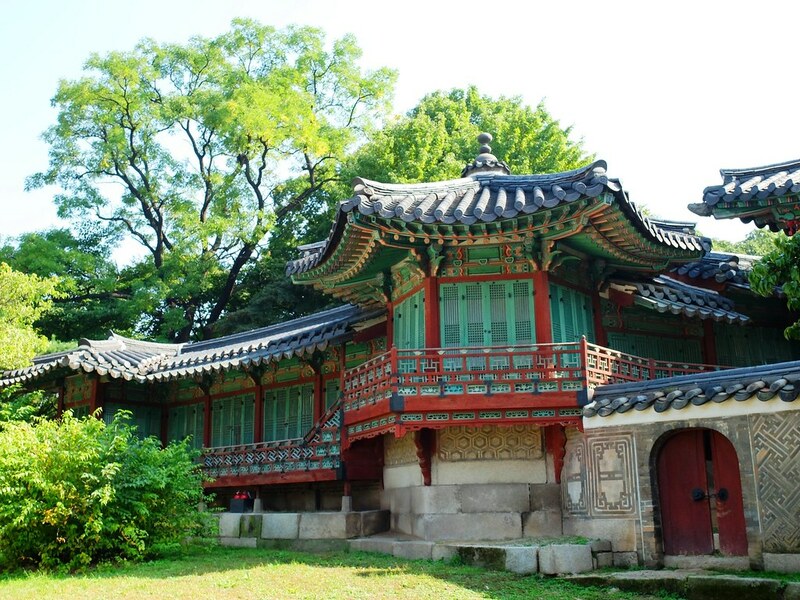 Known as “Donggwol” or the Eastern Palace, the Changdeokgung Palace was said to be the favored residence of the many Joseon Dynasty kings attributing not only to its size but to the over-all ambiance of harmony with nature. 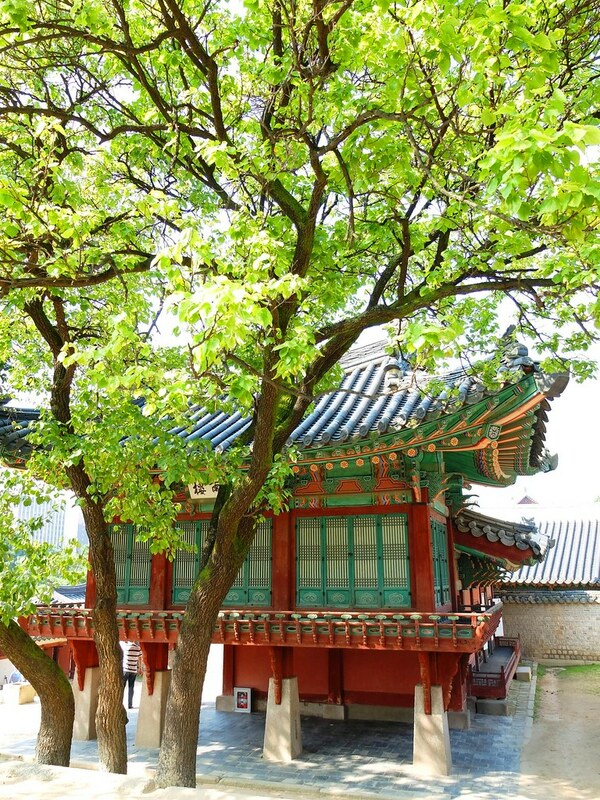 From the main gate to the many building complex inside, Changdeokgung will not disappoint anyone who wanted to get to know more of Korea historical imperial side, thus a good two or three hours is required to cover every corner of the palace grounds, this is best combined with a tour of Huwon or the “Secret Garden”. 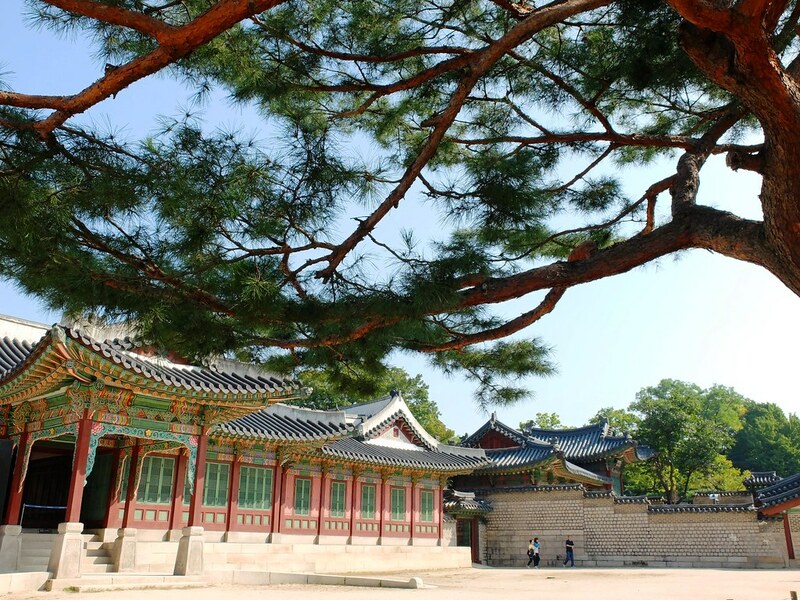 Changdeokgung is divided into different section- the public palace area (Heangbokheon), the royal family residence and the rear garden. 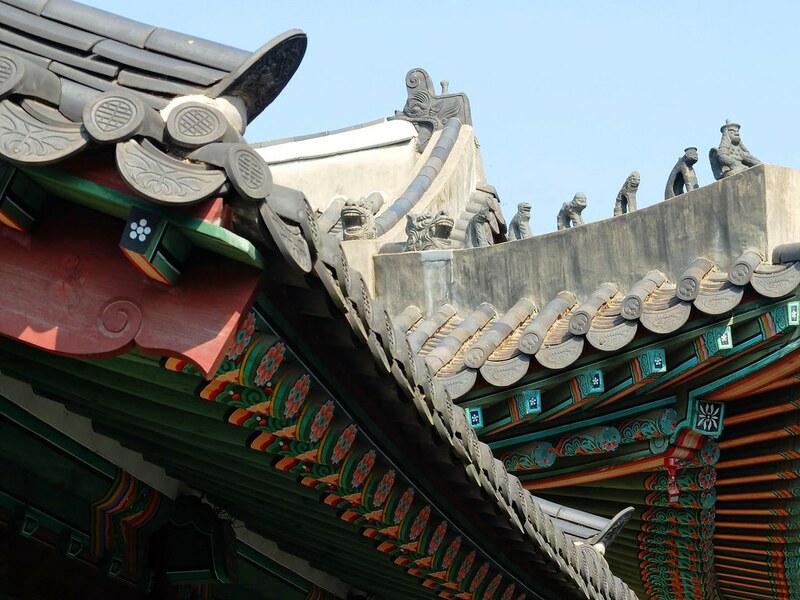 All these are connected via the historically significant Geumcheongyo (Bridge) starting from the two-storey pavilion main palace gate of Donhwamun. 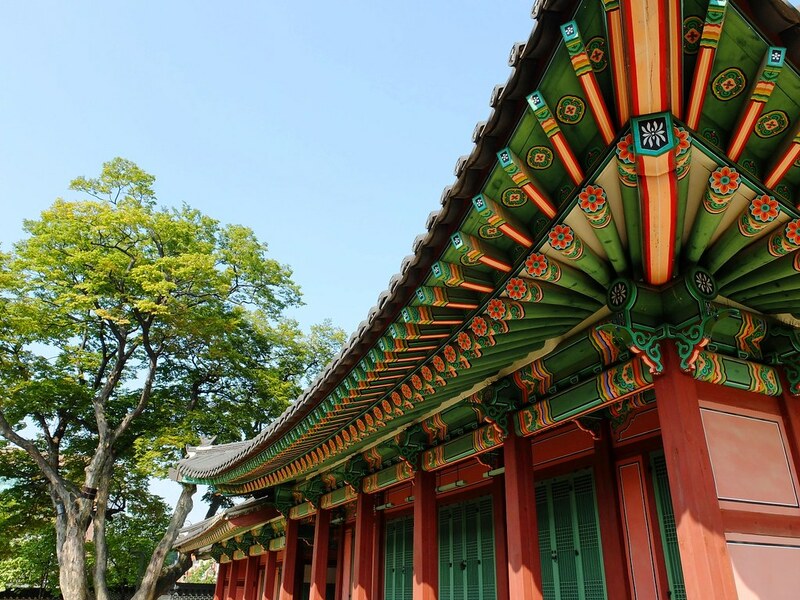 Changdeokgung is said to be built without following a regular system, something that is contrary to other palaces which are built with such architectural precision. 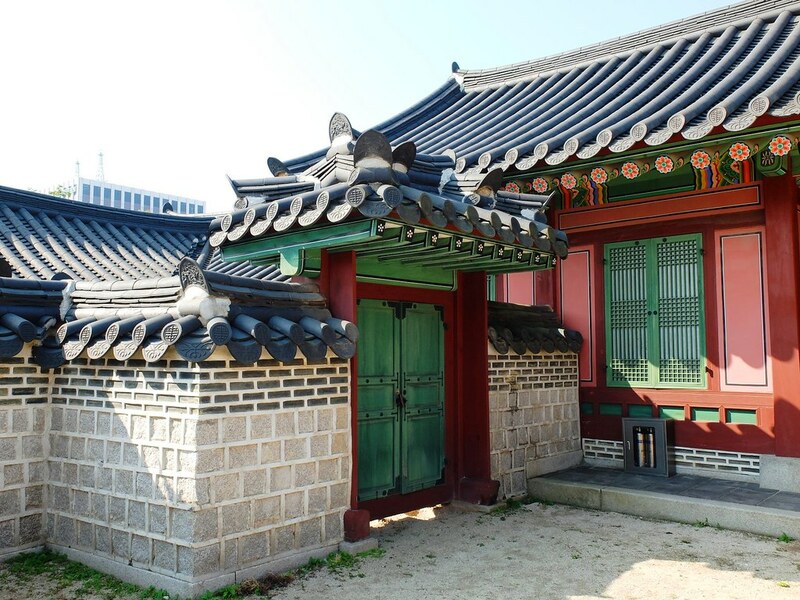 Thus, the best way to see Changdeokgung Palace is to simply enter every small gate available until you encounter a dead end and force to retrieve your steps back. 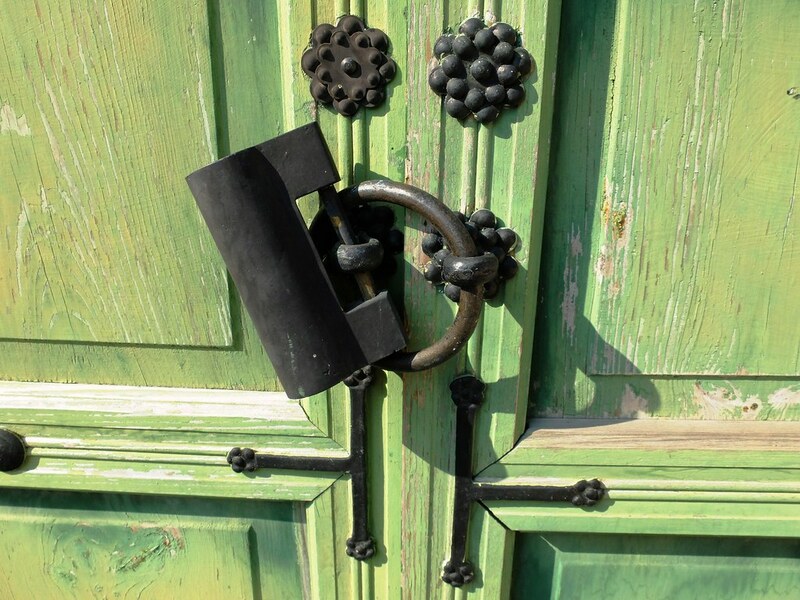 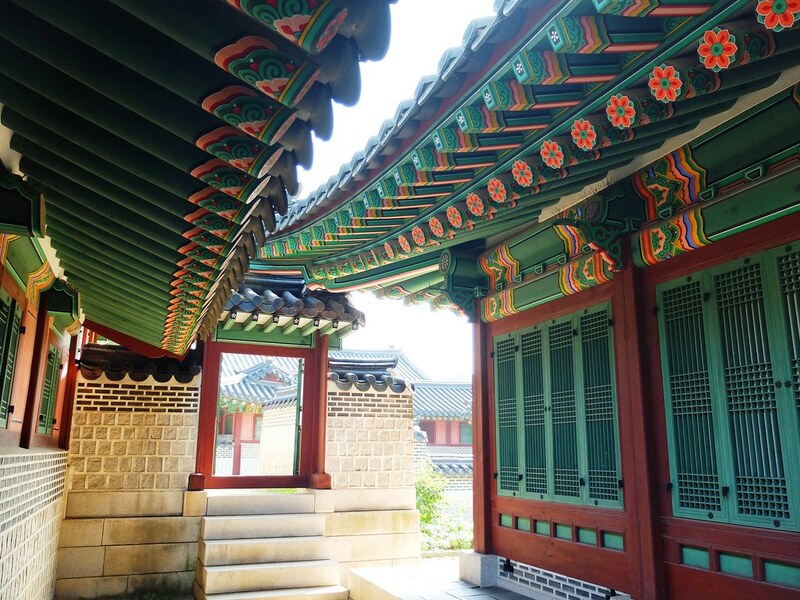 This is specifically a delightful thing to do when exploring Daejojeon or also known as the private royal buildings which includes the King’s bedroom. 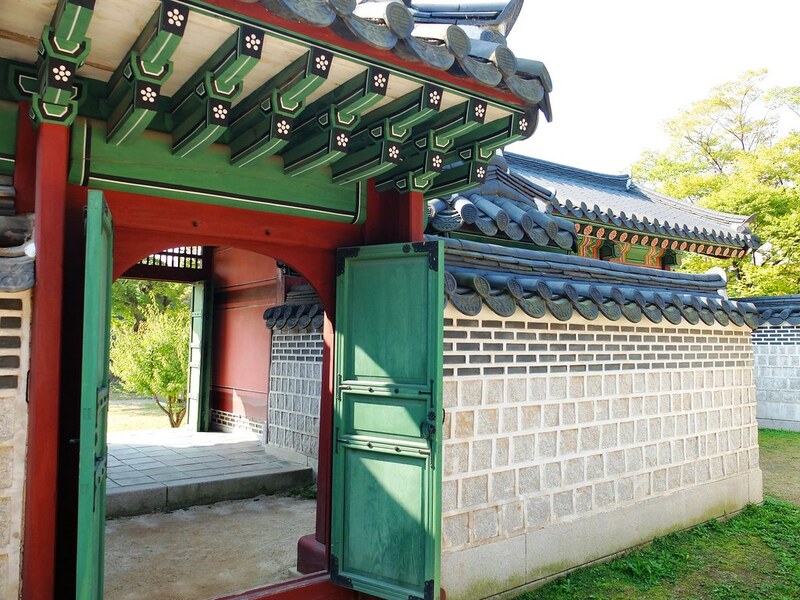 The series of gates leading to another gate and another layer of surrounding wall after another will give you more or less an idea how the kings and queens were well protected. 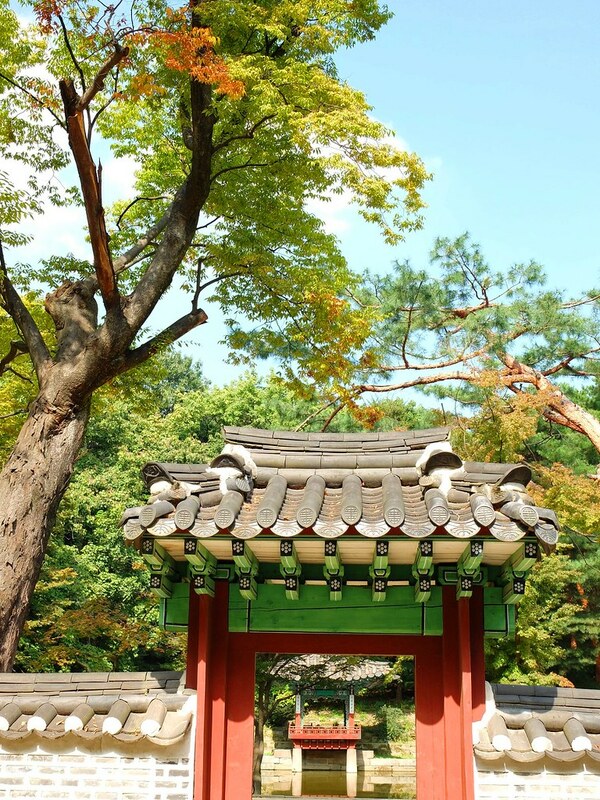 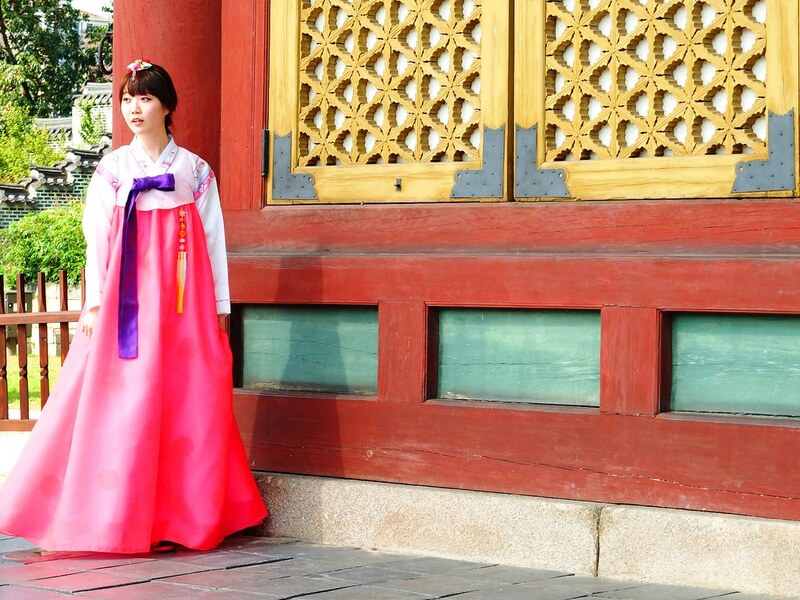 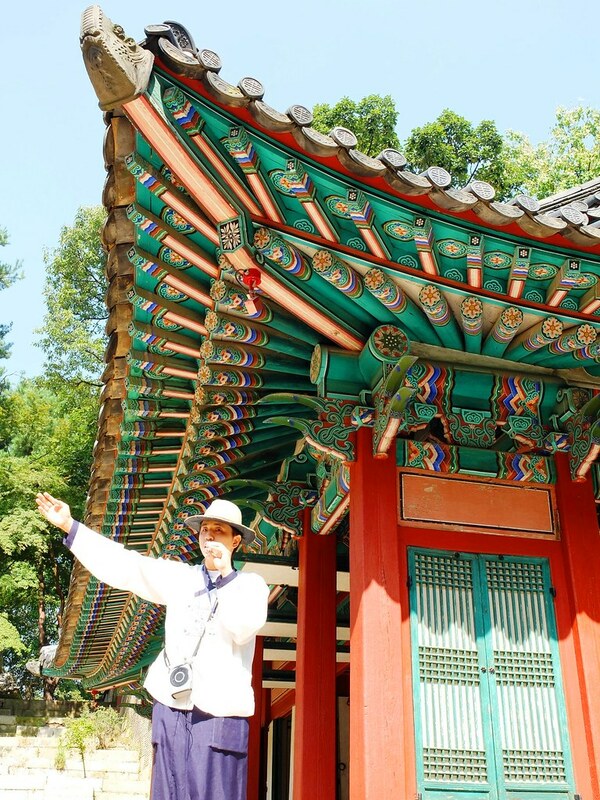 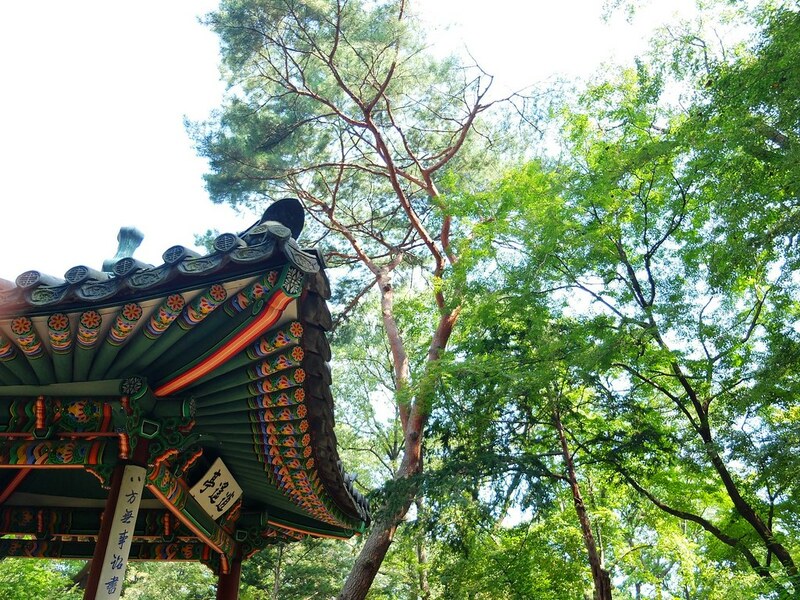 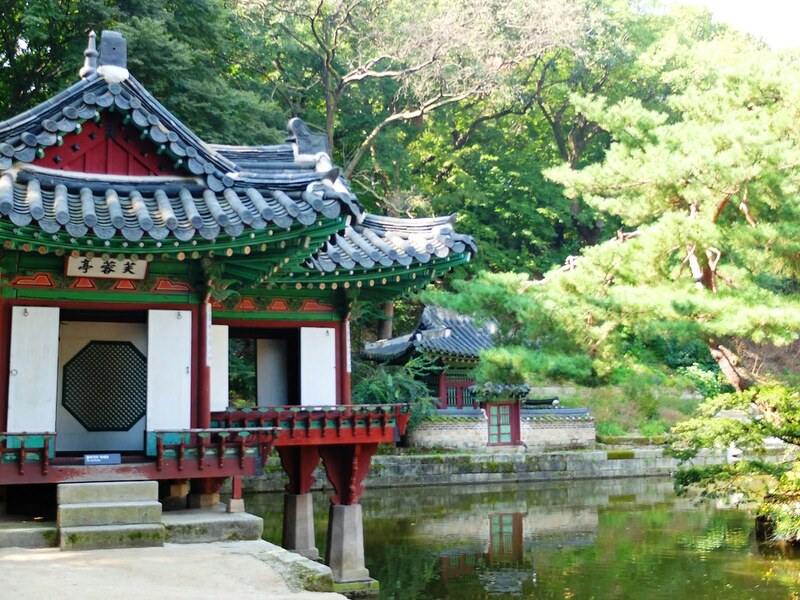 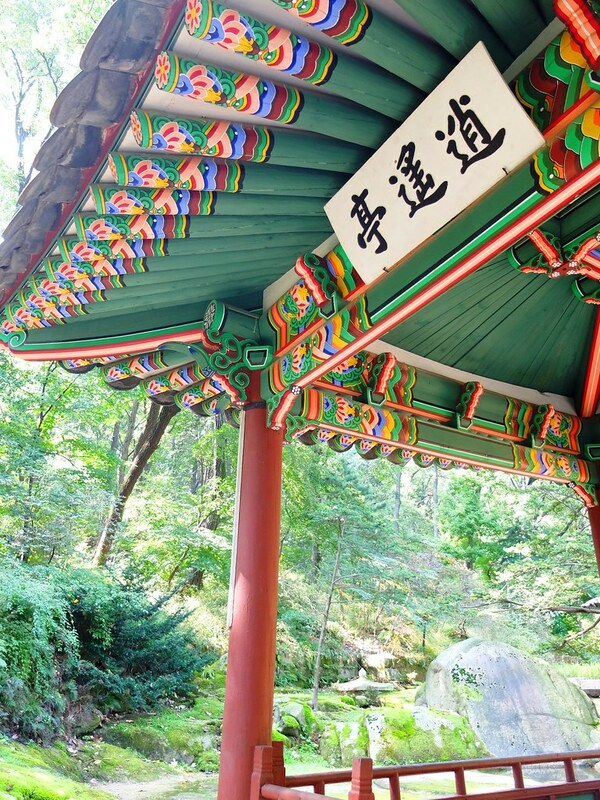 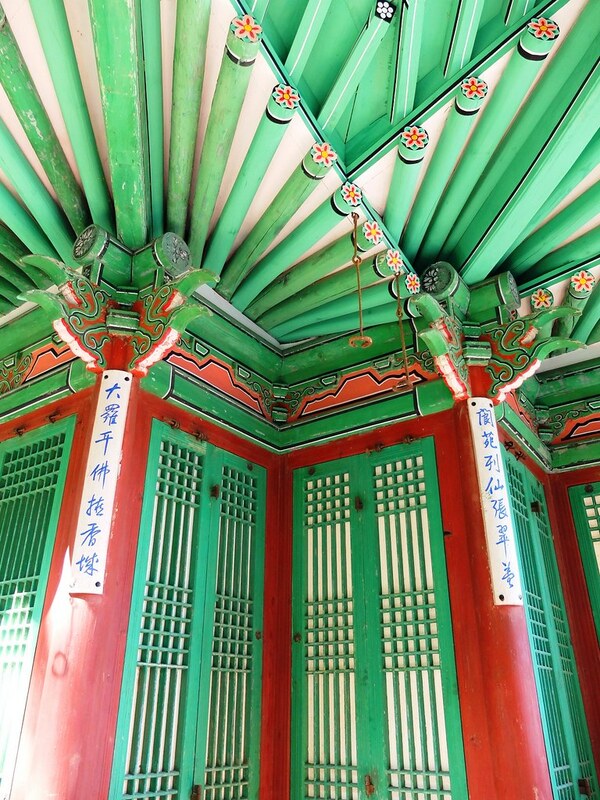 Green is the primary motif of Changdeokgung, a chosen color that perfectly blends with the surrounding trees and Mt. 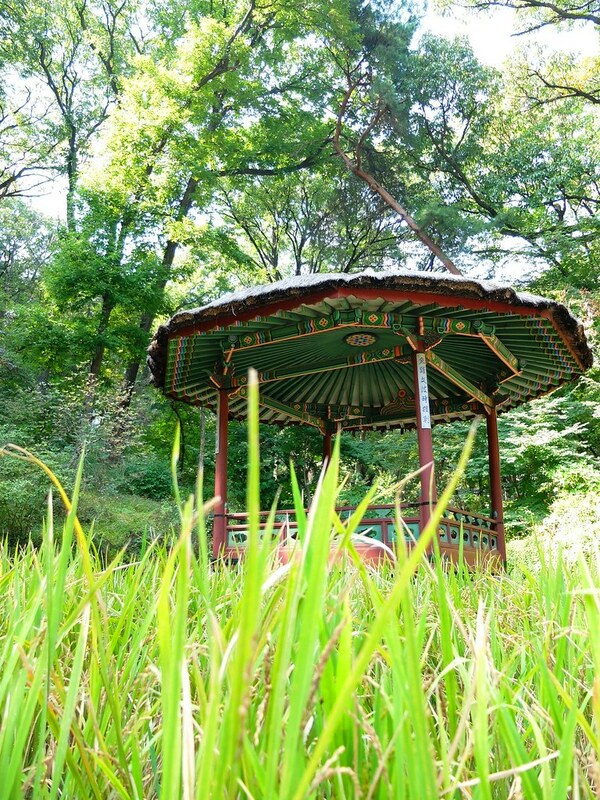 Bugaksan in the background. 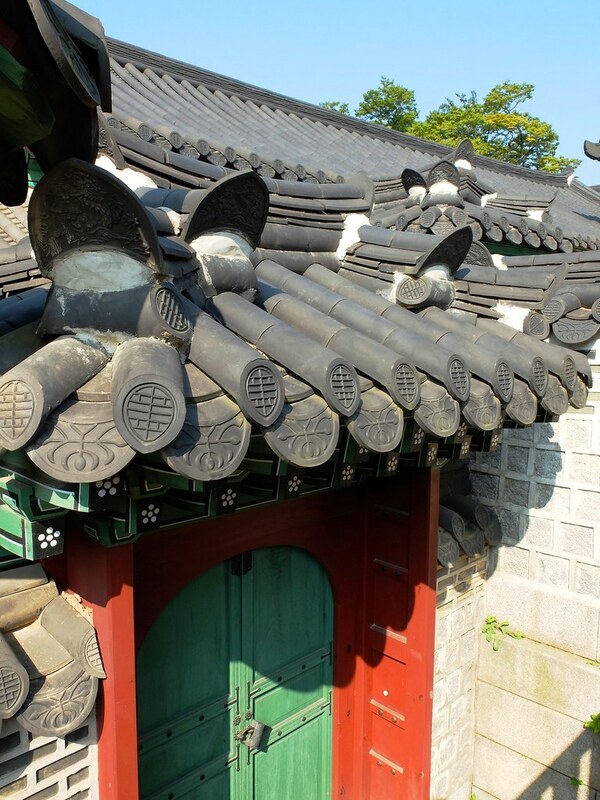 If there is one outstanding feature of Changdeokgung that I will always remember, it will be the hypnotizing roofs. 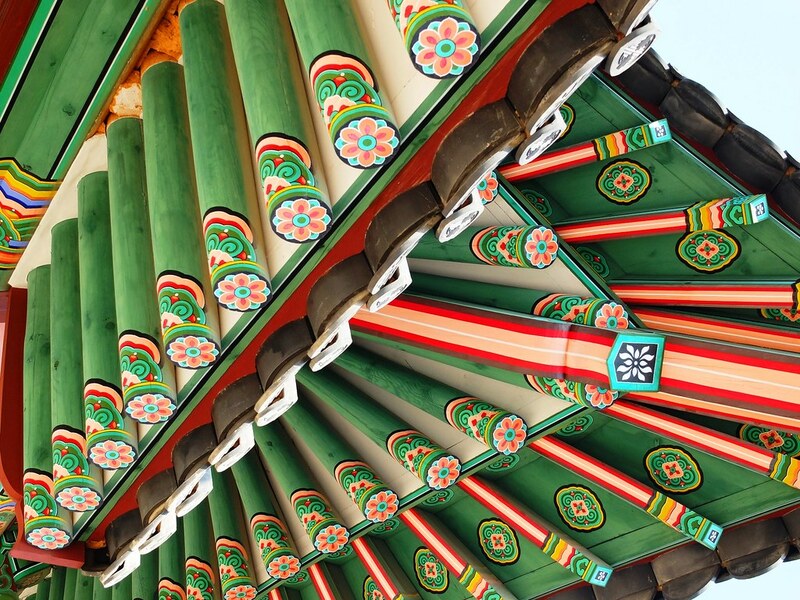 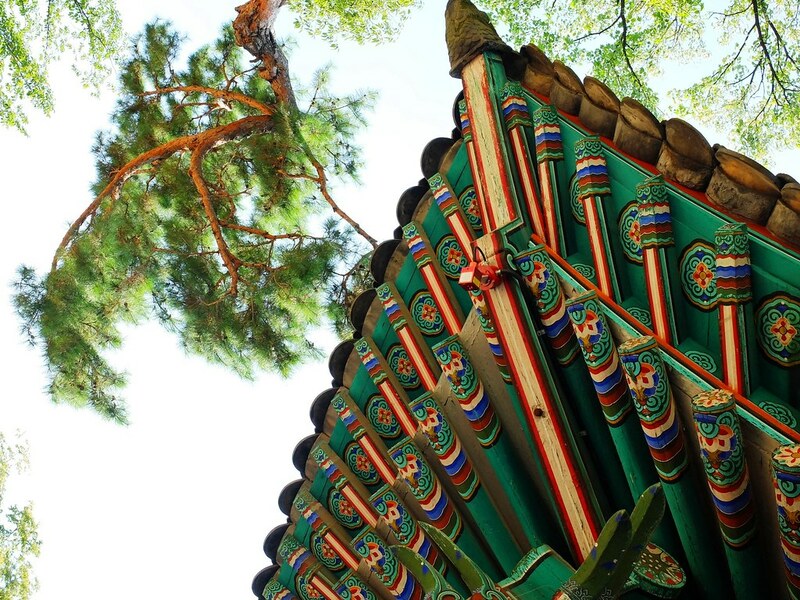 There is no way that anyone can ignore looking up and admire the intricate details of the roof design including “Japsang” or small figurines of human and animals, said to prevent bad spirits from coming into the palace. 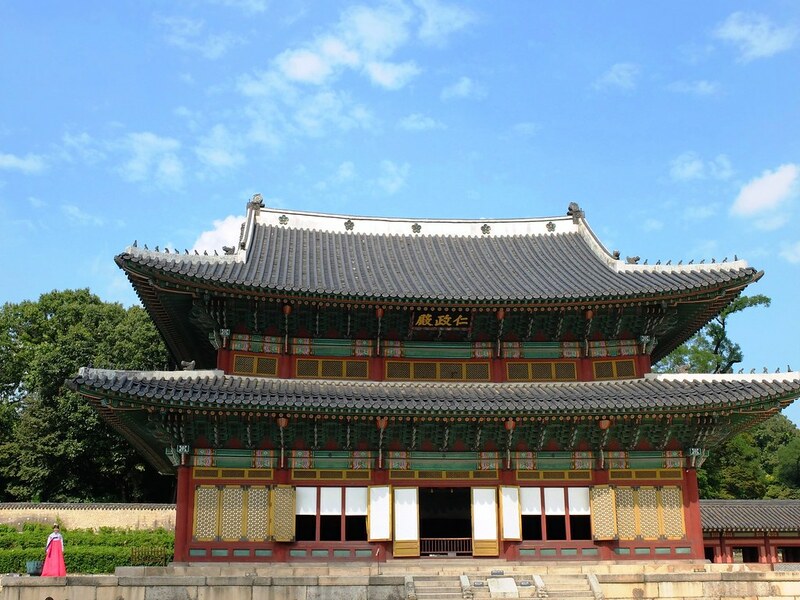 Injeongjeon is the throne hall of Changdeokgung and considered a National Treasure. 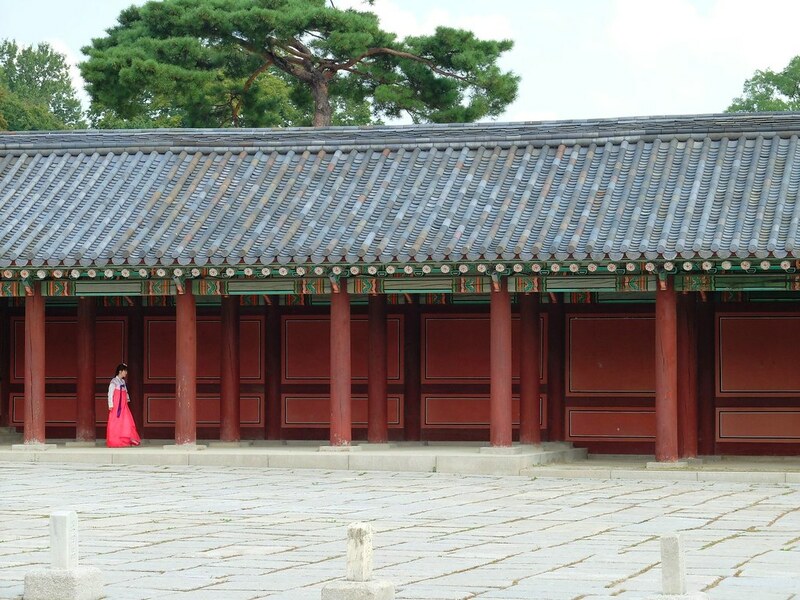 The throne hall is the center of power in the whole palace, this is where major state affairs are held including coronation of new kings. 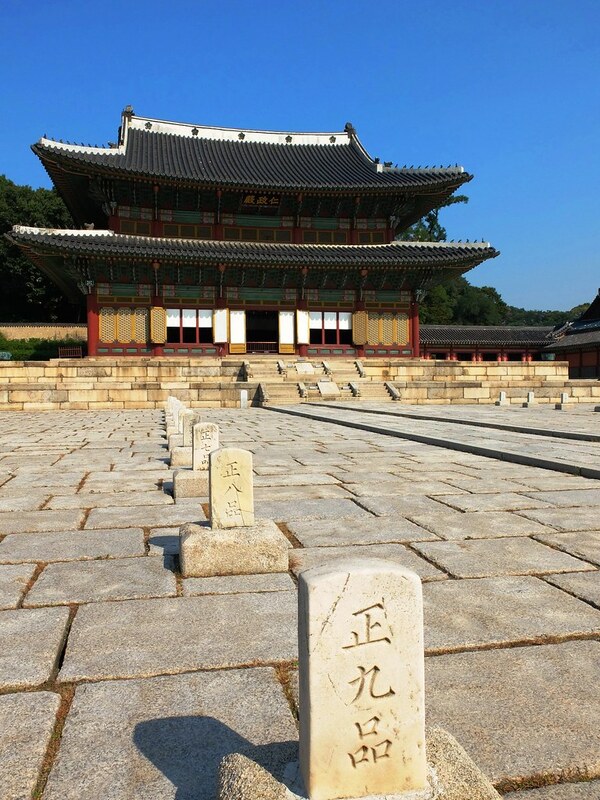 It is a huge courtyard with line of stone markers called Pumgyeseok, a marker that indicates the rank of court officials and where they should stand during events. 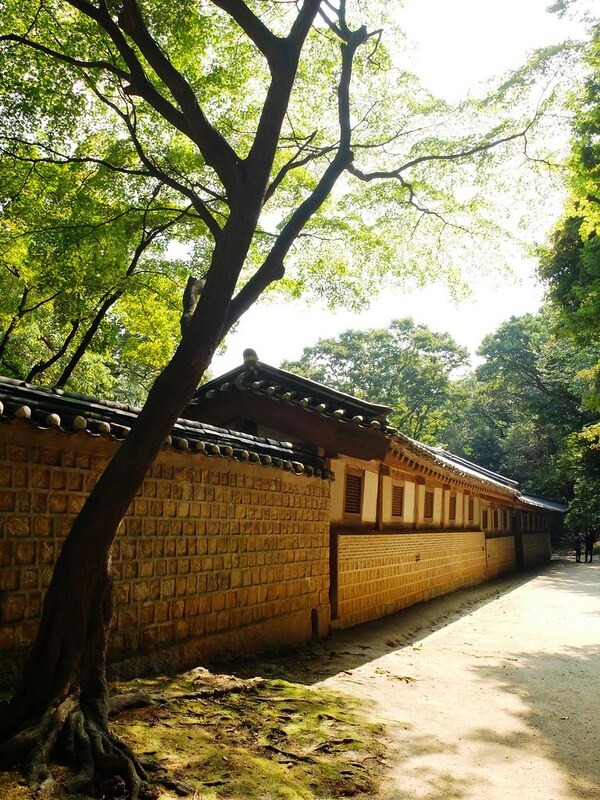 At the back of Changdeokgung main courtyard is the Huwon or commonly known as the Secret Garden. 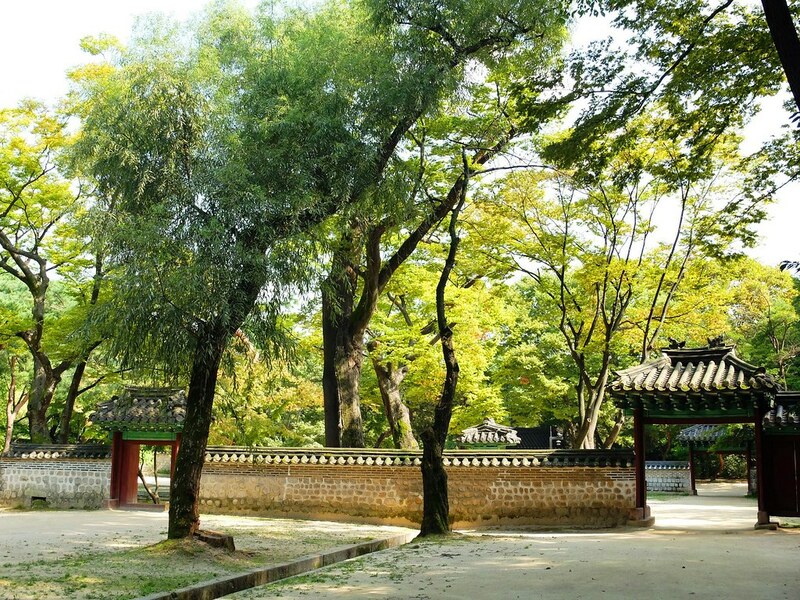 This, if not the top reason why many visitors visit Changdeokgung Palace in the first place. 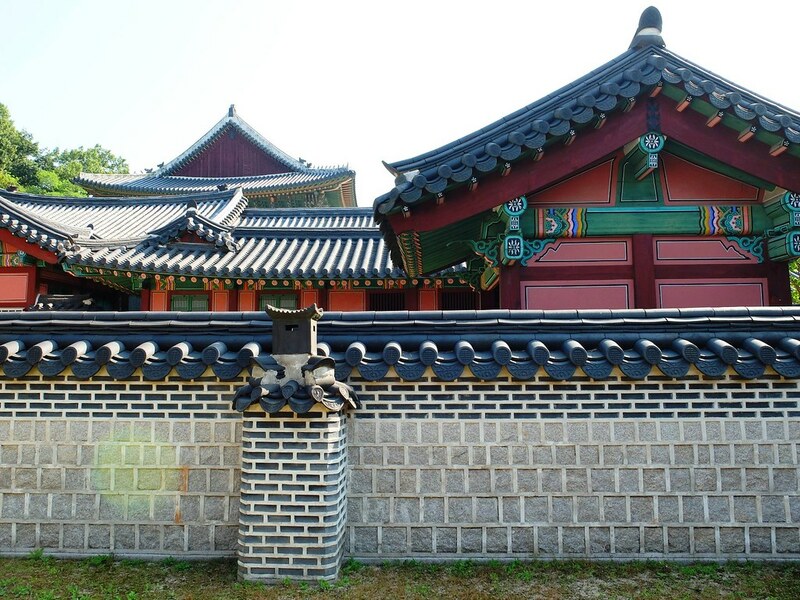 Huwon best represent Korean gardening culture, the Secret Garden by the name itself was built for the royal family as a leisure space when venturing the outside walls was proven to be impossible or difficult. 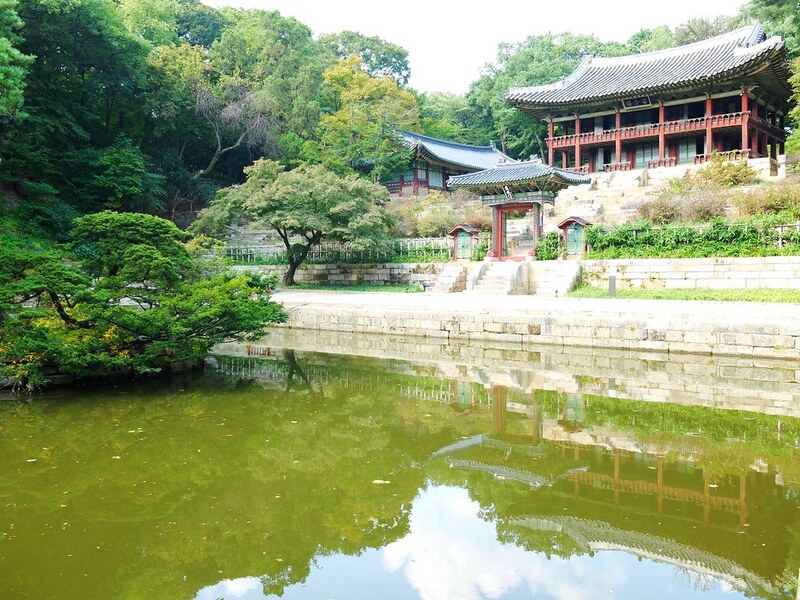 Changdeokgung Palace is easily accessible for walk-in visitors, however the Secret Garden can only be enter on a guided one hour tour. 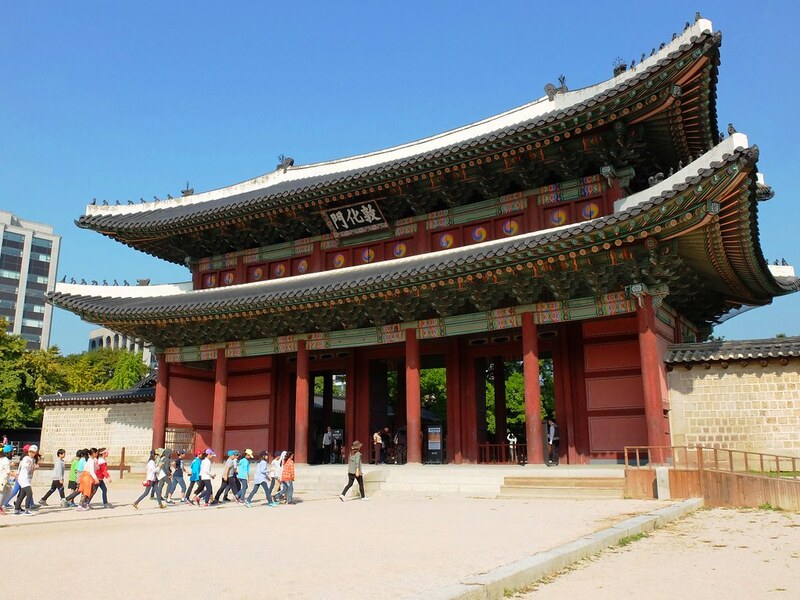 I booked the 11 am English tour in advance on the palace website (http://eng.cdg.go.kr/reservation/reserv_01.htm) prior arriving to Seoul, however for those who did not manage to do so can still try their luck at the same day of their visit, particularly if you don’t mind joining the Korean language tour. 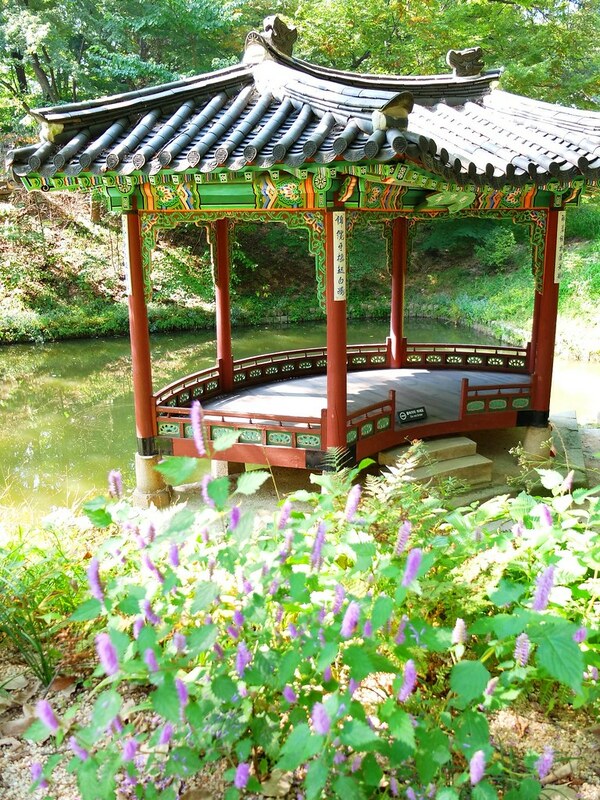 The first stop of the Secret Garden tour is the Buyongji Pond along with uniquely design cross shaped roof of Buyongjeong (Pavilion) and the royal library of Juhapru (Pavilion). 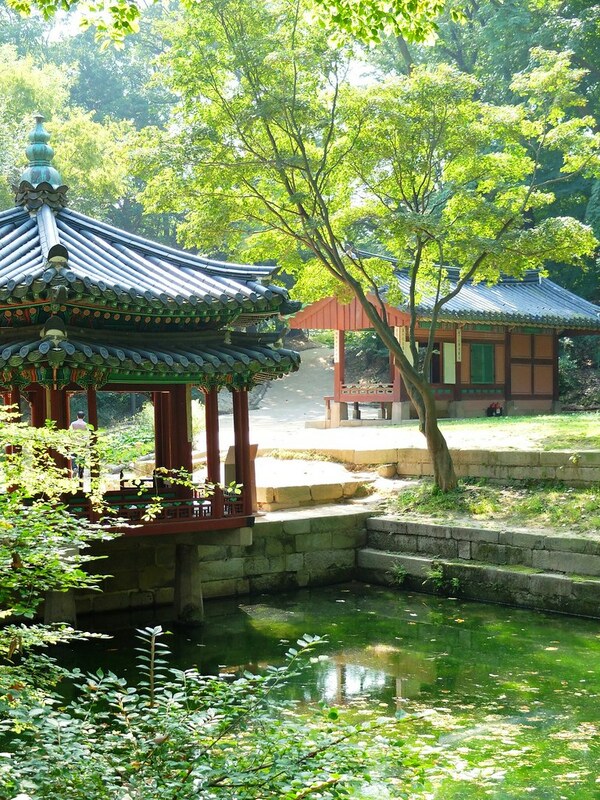 From that point onward, it will be a nature walk towards the many pavilions and ponds scattered inside Huwon. 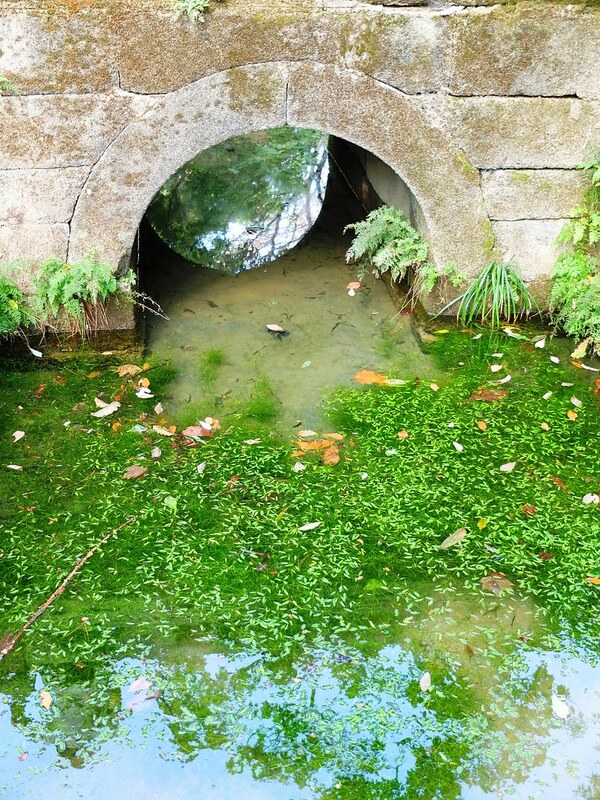 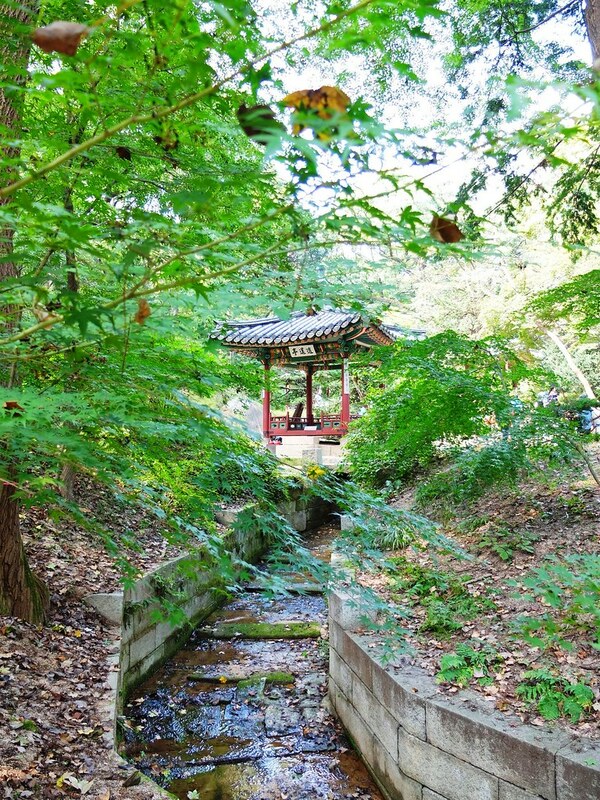 A stream running through Huwon is called Ongnyucheon, surrounded by pavilions and a rounded water channel called Soyoam(rock). 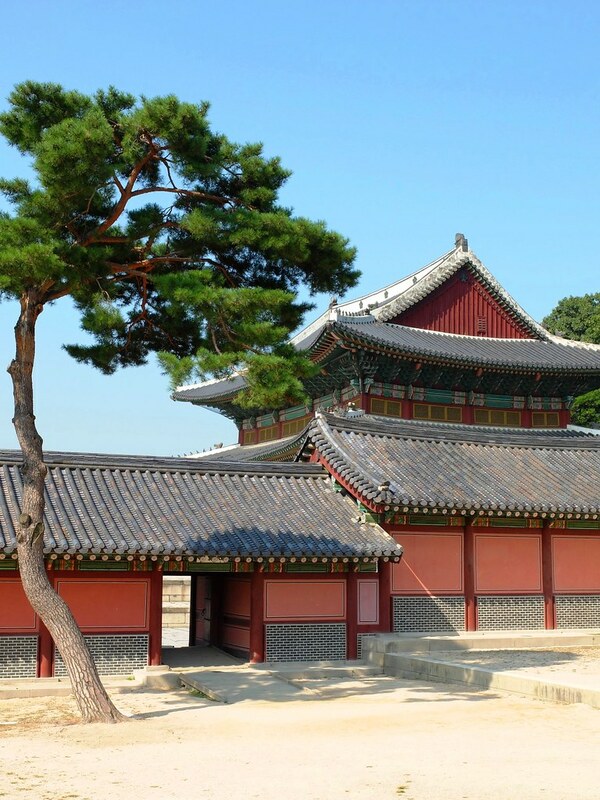 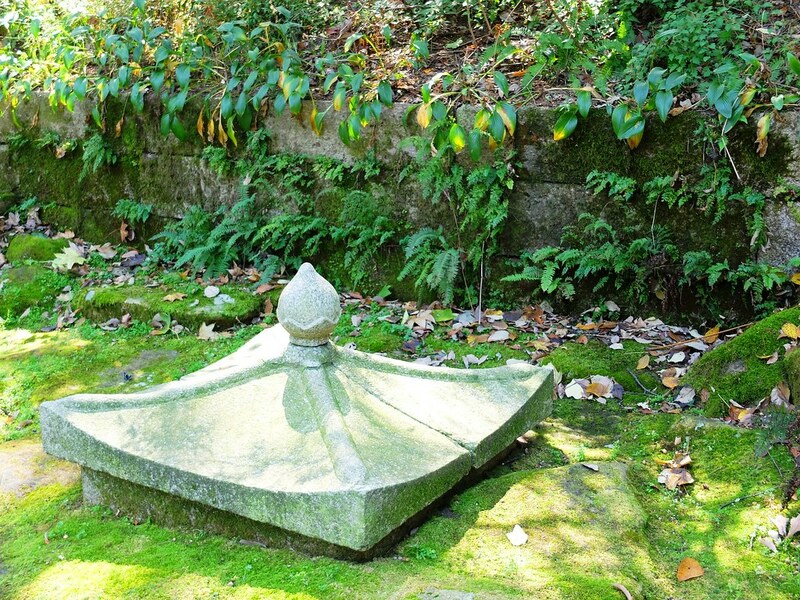 This specific place is considered as a favorite spot among many kings due to its more secluded location. 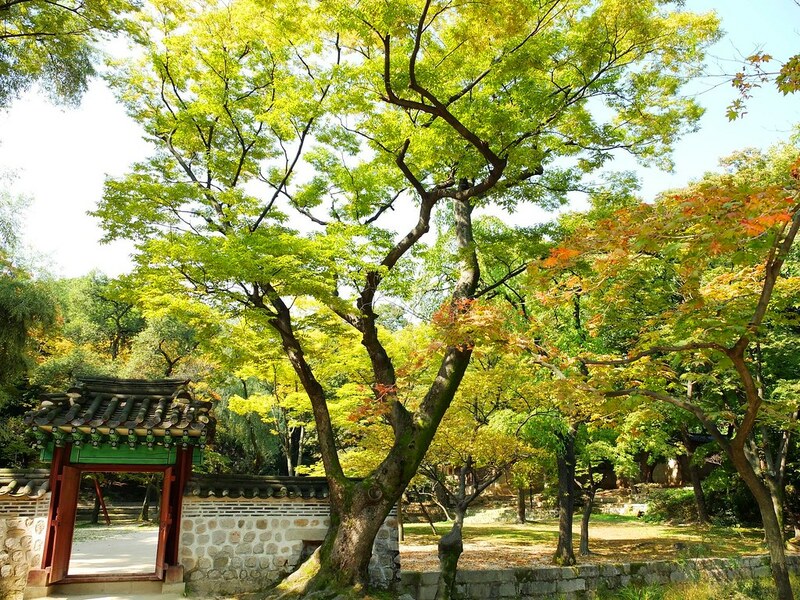 The Secret Garden features more of trees than flowers, however just imagine how beautiful it is on a perfect autumn foliage. 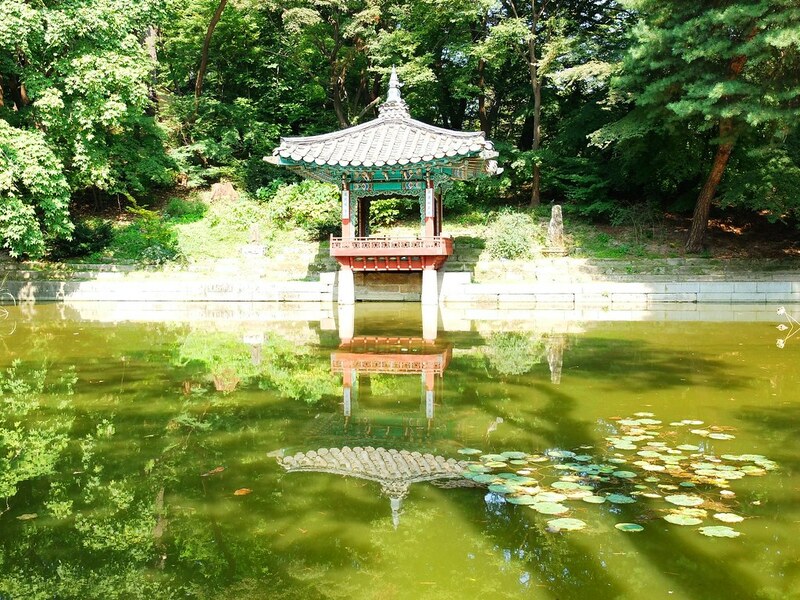 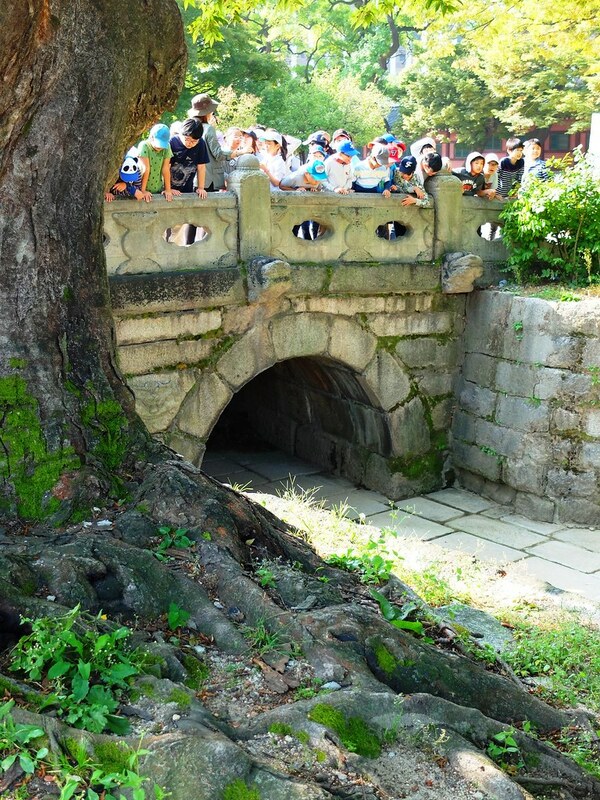 Consider exploring Huwon as a nature walk above all and it will not be an enjoyable one for those who are trying to see a lot of Seoul in a day or two, however for those with more than enough time, taking this tour is a rewarding one. 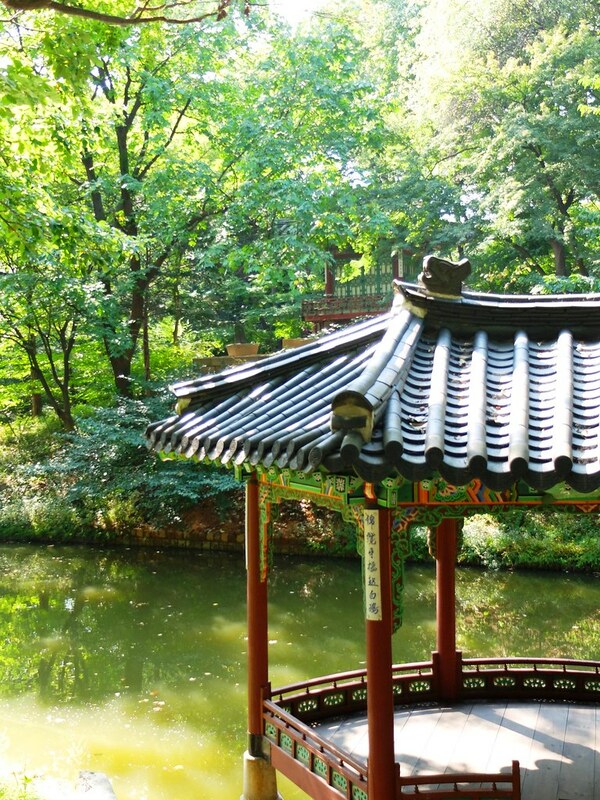 Thanks for sharing the many lovely pictures of this place. 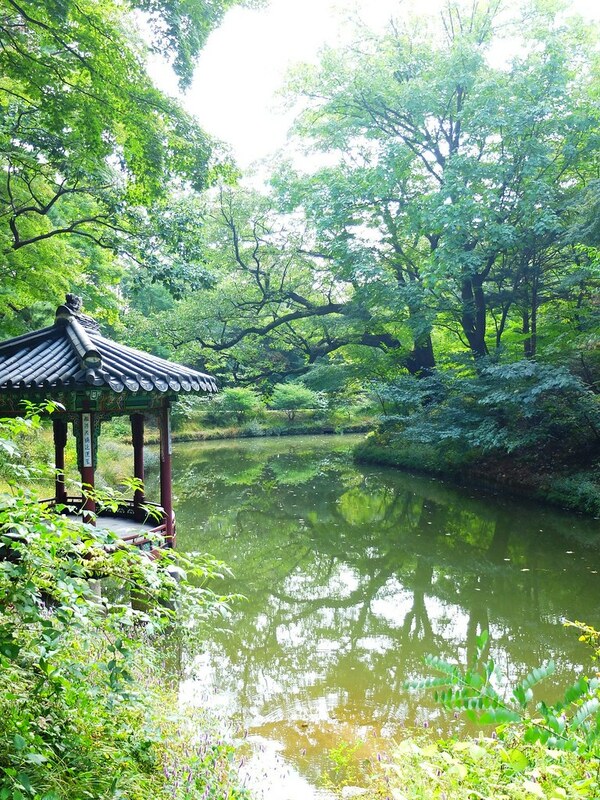 Beautiful photographs! 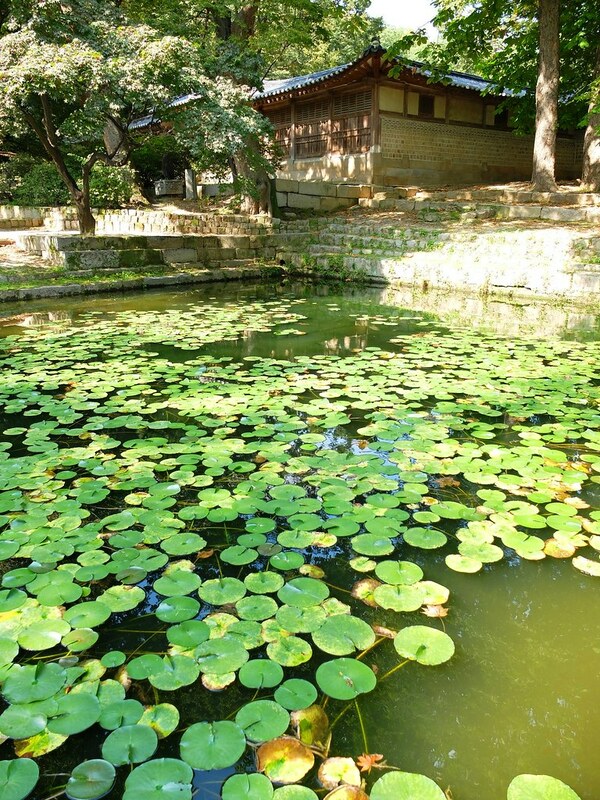 What camera do you use? 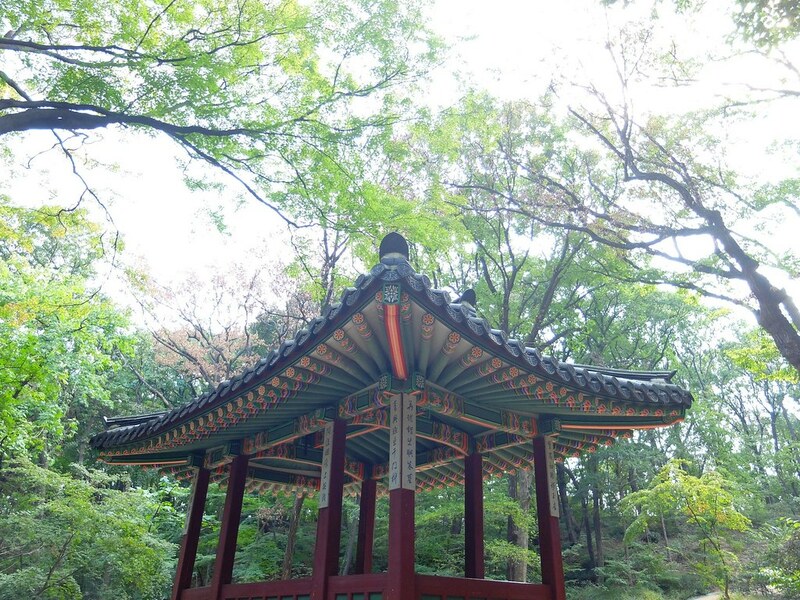 For older posts I used olympus pen epl2 and for this I used fuji x20. 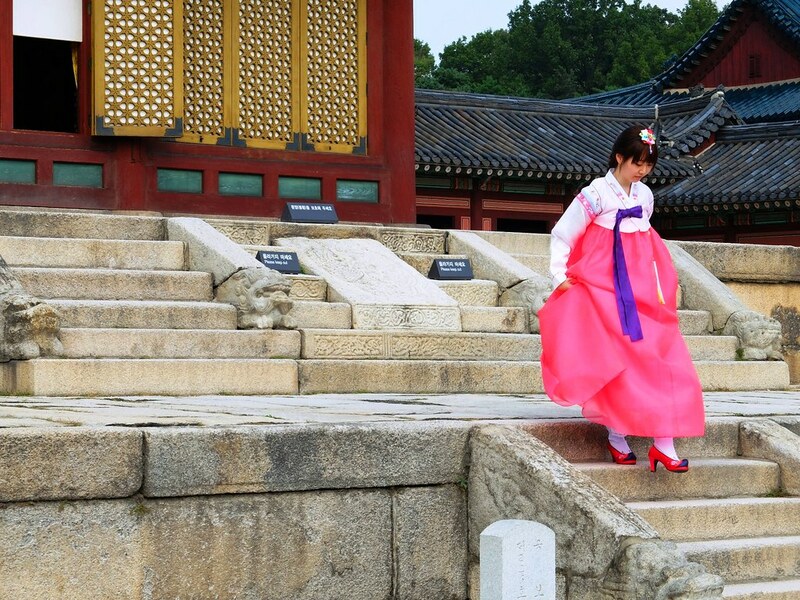 Each picture worth 10000 words,beauties.